Watch the Leaked Guardians of the Galaxy Post-Credits Scene! While Guardians of the Galaxy has garnered rave reviews, critics and advanced audiences have been peeved at the fact that Marvel and Disney are withholding the traditional post-credits scene until the film opens this Thursday at Midnight. Well, we don't have to wait that long, as a Russian site has debuted the scene in question for us. As you can see, Howard the Duck does make an appearance in the movie. 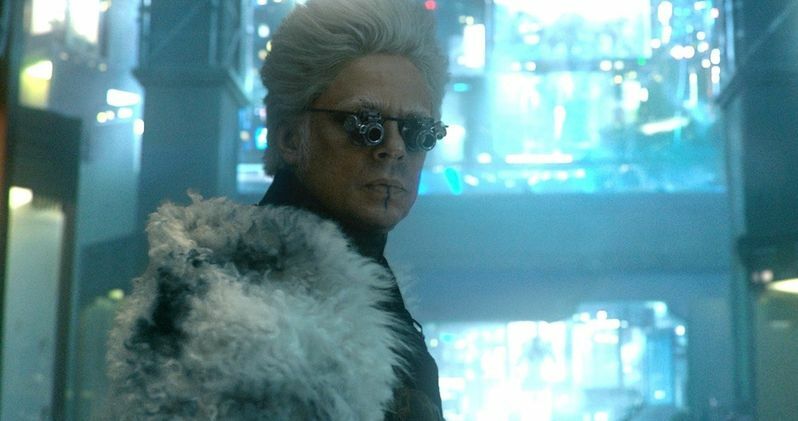 He is spotted early on, as one of the inhabitants of The Collector's (Benicio Del Toro) museum. Held prisoner, Howard obviously escapes during the big explosion that happens after Star-Lord and Gamora bring The Collector a mysterious orb that is being sought by many different individuals throughout the galaxy.